Savannah trolley tours has been awarded Savannah’s Best Tour by Connect Savannah. Congratulations to General Manager Charlie Brazil and his amazing team of conductors, sales reps, maintenance, and support CAST who every day guests what a fabulous city Savannah is. 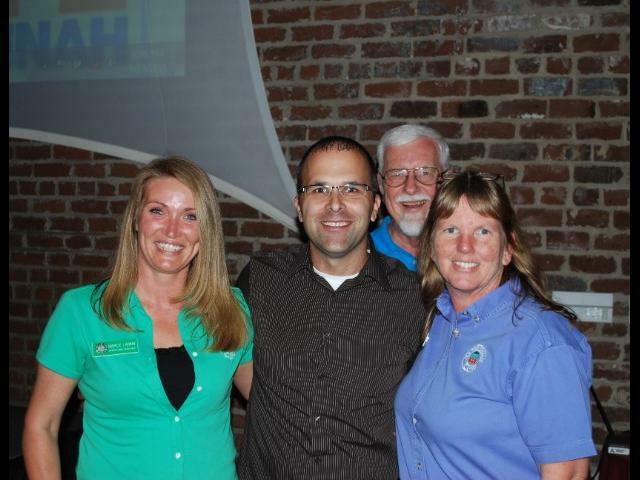 From left: Marcy Larkin, Operations Manager; Charlie Brazil, General Manager; Bob Hunter, Vendor Rep; Joyce Ellis, Charter Rep.
Posted in Savannah | Comments Off on Best of Savannah! Look who is on the National Mall! Just in time for the hustle and bustle of summer, Old Town Trolley Tours of Washington, DC just opened their first booth on the National Mall at the Metro entrance. 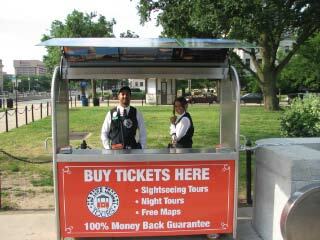 In addition to offering visitors tickets for the Old Town Trolley day tours, Monuments by Moonlight DC night tours and the DC Ducks, our sales reps will be on hand to give directions and provide folks with free maps and information. Posted in Washington DC | Comments Off on Look who is on the National Mall! Felcity the Wedding Trolley is now on Facebook and Twitter! Old Town Trolley Tours of San Diego’s popular white wedding trolley, Felicity, is now on Facebook and Twitter. Brides to be can send in questions and comments about their upcoming wedding (or any special event!). We would love to hear from you! Become a fan and follower! 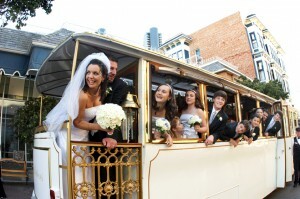 Posted in San Diego | Comments Off on Felcity the Wedding Trolley is now on Facebook and Twitter! You are currently browsing the Old Town Trolley Tours Blog blog archives for May, 2011.